Say “Forrest Yoga” to a yogi, and the first word that comes to mind is “intense.” It is known for its long holding of positions, emphasis on abdominal core work and standing series that can go on for 20 poses on each side. It is taught with passion and integrity in order to promote self-healing and awaken the senses. Ana T. Forrest, based in Orcas Island, Washington State USA, devised her rigorous style with no less a goal than curing the ails of the modern world, including computer roadkill bodies (lower back tightness, shoulder pains and neck aches) and spiritual malaises that lead to destructive behaviors like addictions. The classes attract N.F.L. players, recovering addicts, dancers and cancer patients. Forrest Yoga teaches how to bring aliveness, using breath, into every cell of your body. It is an intense physical and internally focused practice based on traditional yoga from the east, but adapted for the western lifestyle. One major aspect of Forrest Yoga is the detailed body alignment, active hands and feet, and first and foremost a relaxed neck. 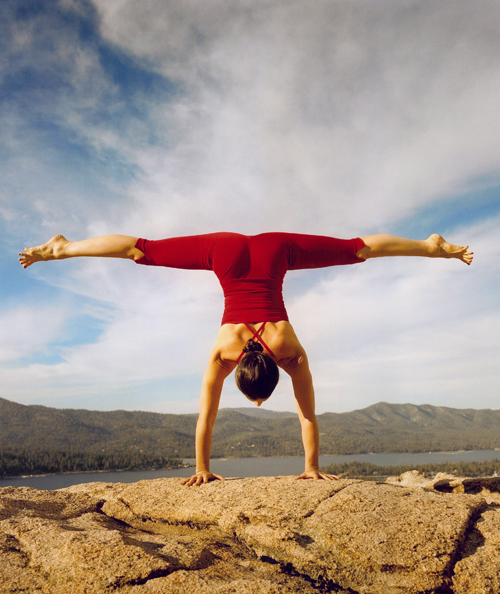 Forres Yoga teaches the beauty of life and the power of spirit. It is an inspirational workout which builds flexibility, intelligence, and strength and promotes a deeper connection to your true authentic self. It teaches you the tools to find and then cleanse the emotional and mental blocks that dictate and limit your life. It gets you strong and centered by connecting you to your core and is particularly tailored to heal physical and emotional injuries. It does not require strength or flexibility; it only requires a willingness to learn how to feel authentically and respond honestly. The practice is founded on four pillars — Breath, Integrity, Strength and Spirit.